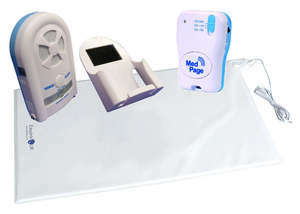 This new advanced Bed Occupancy Detection Alarm with LCD Pager system provides alerts for bed rise with an alarm transmitted to the new Pager with LCD display. 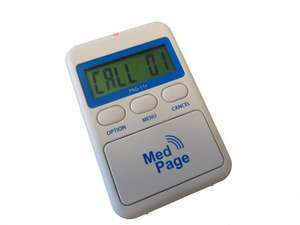 The pager will link to all Medpage transmitter products. Ideal for home use and professional care. 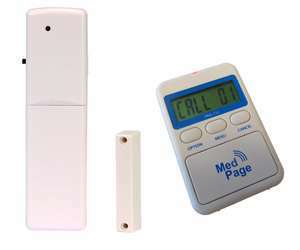 The Pager can also be used with door alarms, PIR, and floor mats. 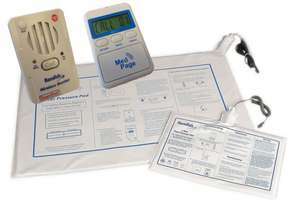 Sensors are manufactured in high quality polyvinyl and are fitted with a 2 Metre lead for connection to the monitor transmitter. Normal strength disinfectants can be used to sterilise the sensors if required.